Observations, mostly astronomical from Limavady, UK (55N, 6.9W). Beautiful moonless night and the sky cleared for about an hour at 7pm. I worked through the string of open clusters, M35, M36, M37 and M38 in Auriga above Orion. The Crab nebula, M1, was nearby. I thought it was a bit hazy and uninteresting so I checked focus by going back to M42 and M43 in the Orion nebula – this was very impressive with Trapezium stars at its heart. M43 was easily seen. M50 and M78 were nearby so I had a quick look before slewing right to the Pleiades (M45) and finally the oval of the Andomeda galaxy (M31). 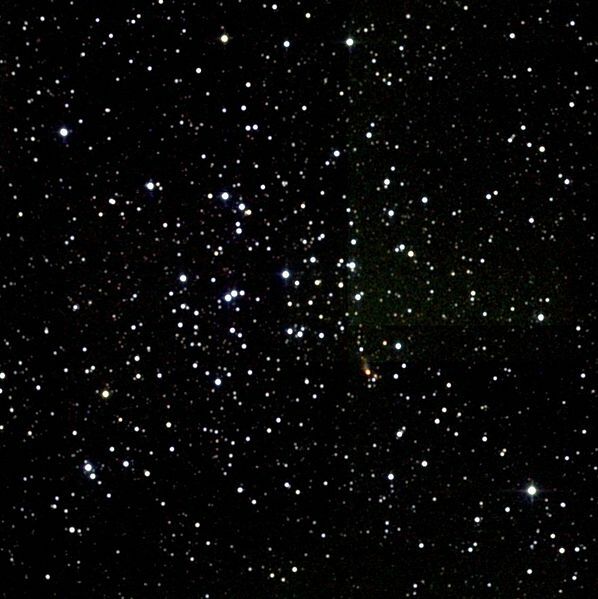 A short Go To run from M35 to M36, An open cluster in Auriga. A break in the clouds allowed a quick observation of this open cluster in Gemini. Nexstar 8SE. Standing at back door looking up at cloudy sky. Aligned my red dot spotter scope against a TV aerial about 100m away about a week ago and keen to see how much my new GPS module improves tracking. Not much chance in this weather. A good night despite a little ground fog. Started with a low power 25mm plossl eyepiece for alignment then onto a nice Meade 5000 series medium power 18mm, definitely a better eyepiece with better definition of Jupiter’s cloud bands as well as higher magnification. Then tried a Barlow telephoto X2 lens as well as the Meade – this made Jupiter occupy most of the view – a good result. 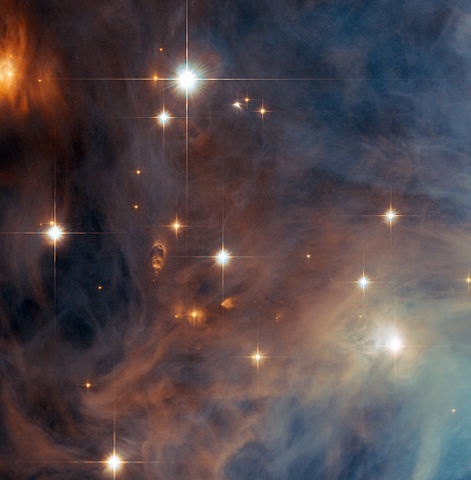 This is M43 through the Hubble telescope. In my backyard it is just a fuzzy blob! Waxing Moon. 8 panel mosaic. The bright star in the centre is Alnitak. The left-hand star in Orion’s Belt. Just to the left is the Burning Bush nebula(NGC 2024). Below is the Horsehead nebula (Barnard 33) outlined by the glow of Hydrogen alpha light. 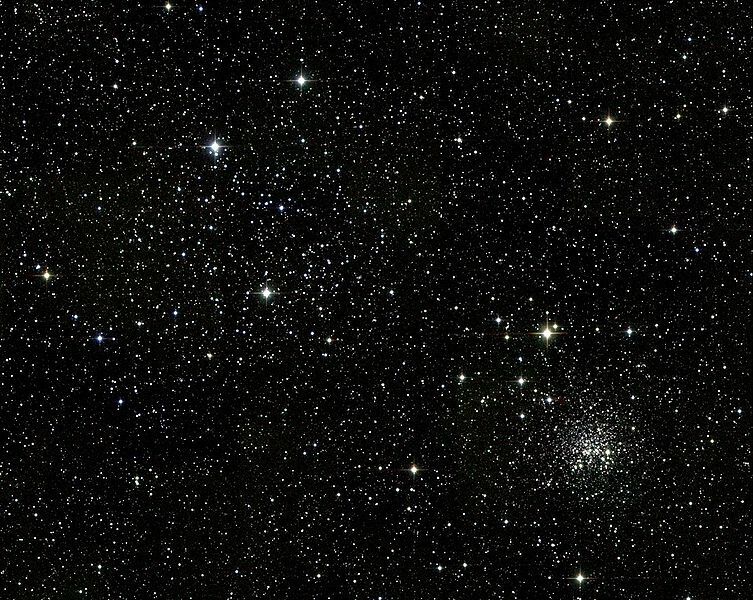 The most spectacular of the Northern hemisphere globular clusters.